Mumbai based iBall is a consumer electronics company which is into the business. Mobile Phones, Tablet PCs, Laptop Gadgets, Peripherals and Technology Accessories manufacturing Indian company is now launching a new Tablet with regional language support. The 4G gadget is a high speed internet supporting device that runs on Android Lollipop 5.0 version OS. 1 GHz Quadcore SoC Processor and a Mali-400 GPU with 2GB RAM will enable a high quality tablet 4G voice calls. Zero Shutter Delay 2 MP front camera and 5 MP Rear Cameras with Panorama, Face Beauty, Motion Track mode, Live photo features has a good scope for pics and videos. The 8-inch display touch screen with 1280 x 800 pixels clarity and pixel density of 189ppi will be a good viewing experience for the user. Memory of 16GB Internal storage can be expanded up to 32 GB via microSD card support. 3G and 4G Connectivity along with GPRS, Edge, A-GPS, Bluetooth v4.0, Wi-Fi 802.11 b/g/n, Wi-Fi hotspots, Wi-Fi Direct, Micro USB slot and USB On-The-Go support are facilitated in this tablet. Single SIM slot is provided in this tablet. Apart from these technicalities, the Voice tablet is packed with 4500 mAh battery and loads of social media apps: WhatsApp and Facebook. Pre-loaded games like Asphalt Nitro, Bubble Bash 3, Spider-Ultimate Power, Midnight Pool, and Motorcross: Trial Extreme are included in the device. IBall especially for Indian users has included 9 regional languages totaling to 30 Indian languages. Keyboard support is provided for all the languages. The device comes as an entry level variant in the segment from the company. 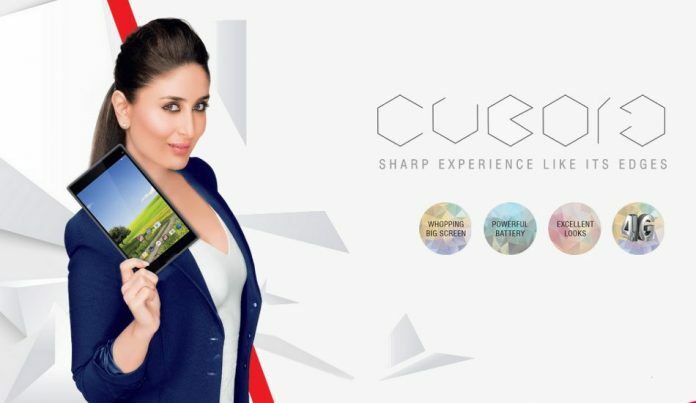 iBall Slide tablet series – the Slide Cuboid Price is tagged at Rs.10,499 and comes in Grey colour. iBall has launched its another new Slide Cuboid tablet model with an 8-inch display and built-in FM radio model at Rs.8,999.